If I were wealthy, I would probably redecorate a different room in the house once a month. Since I have to live in the real world and must live within a budget, I find less costly ways to give our home mini makeovers now and then by changing some throw pillows, an area rug, or wall art. My Wonderful Walls is an excellent resource for adding new life to your walls if you have children in your household. My Wonderful Walls offers wall stickers, wall stencils, and customizable wall art that is perfect for nursery decor or children's bedrooms and playrooms. Since we live in a townhouse, there is not enough space to discern which parts of the house are child-friendly and which are not. We do not have a separate playroom for the children and they have pretty much taken over the living room. 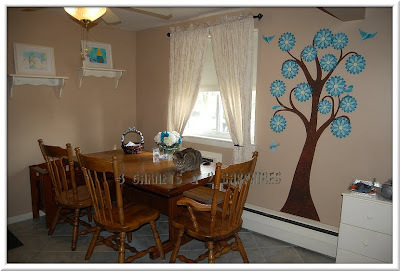 That is why I thought it could not hurt to add a little whimsy to our dining area, which is adjacent to the living room. 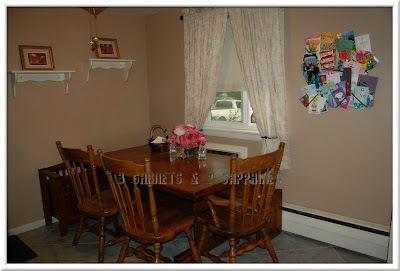 This is our dining area BEFORE the mini makeover . 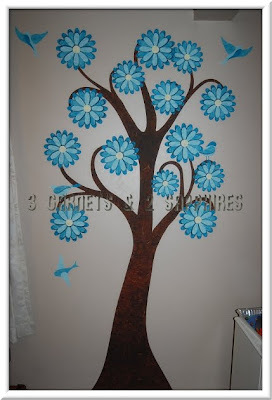 . .
Of all the products offered by My Wonderful Walls, my husband and I liked the Garden Tree Wall Stickers the best. To prep the walls, we only had wipe them down with cold water and let them dry completely. Having used wall decals before in other rooms, we were prepared to have two people to apply this wall sticker. 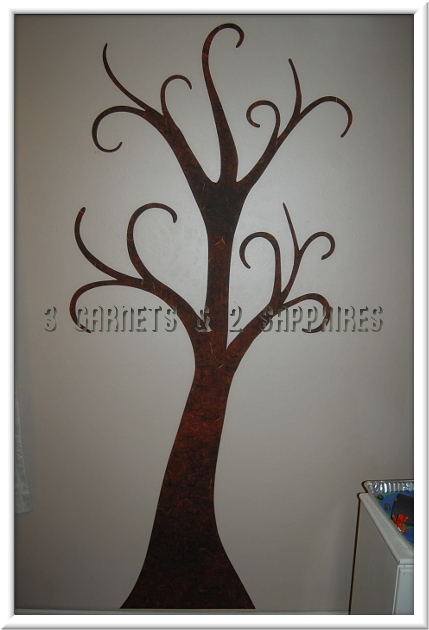 With this wall sticker being so large and the branches looking so intricate, we thought it would be tricky to apply the tree all in once piece. We were so pleasantly surprised! Instead of having problems with the curved branches sticking to the wrong places or to each other, we found this wall sticker to be incredibly easy to manage. It was repositionable and, if two tacky parts happened to come together, we could peel them apart without damaging the sticker. 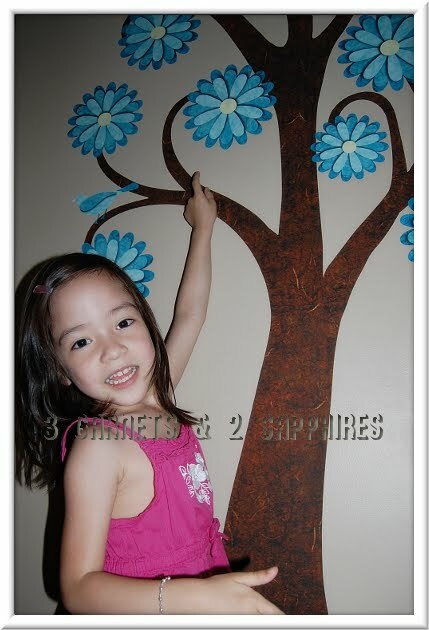 Take a minute to see how simple it actually is to apply wall stickers by My Wonderful Walls . 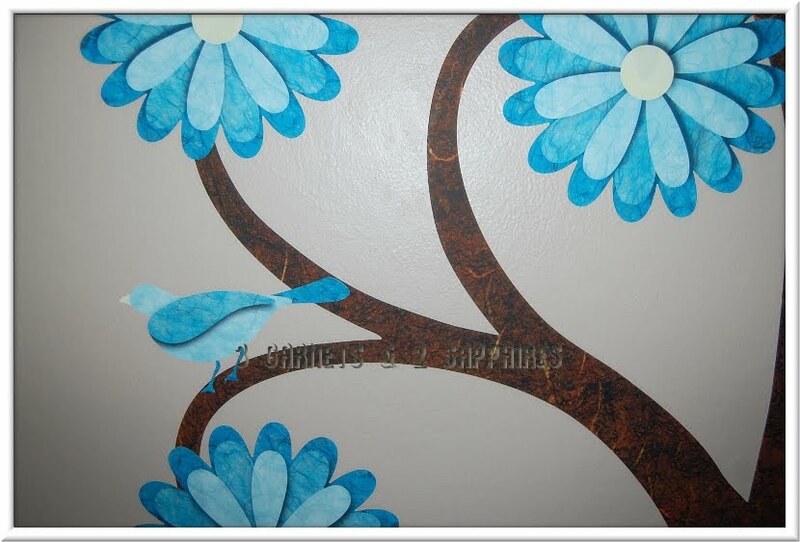 . .
Other than how easy to manage the wall stickers are, I also love the quality of the decals. We had no problems with any of the stickers tearing. I also like the look of pressed paper each decal has, giving the entire display a more handcrafted feel. The decals adhere to the wall beautifully and you have to really take a close look to figure out if it is in fact a decal or stenciled wall art. For the rest of the room, I had my children create some coordinating framed kids art. 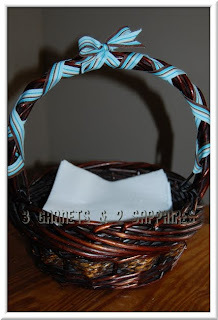 (You can find the instructions here.) 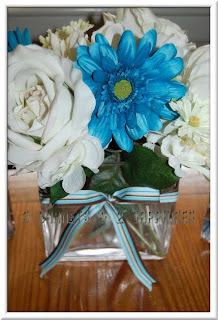 I also picked up some silk flowers and ribbon at A.C. Moore to change the look of our vase and napkin basket. Here is our dining area AFTER our mini makeover . . . The Garden Tree Wall Sticker is also available with your choice of coordinating birds or butterflies. We chose the birds because we thought they would be more fitting all year round. Our tree is in the Turquoise, but you can also choose from Lavender, White, or Pink flowers and accents. 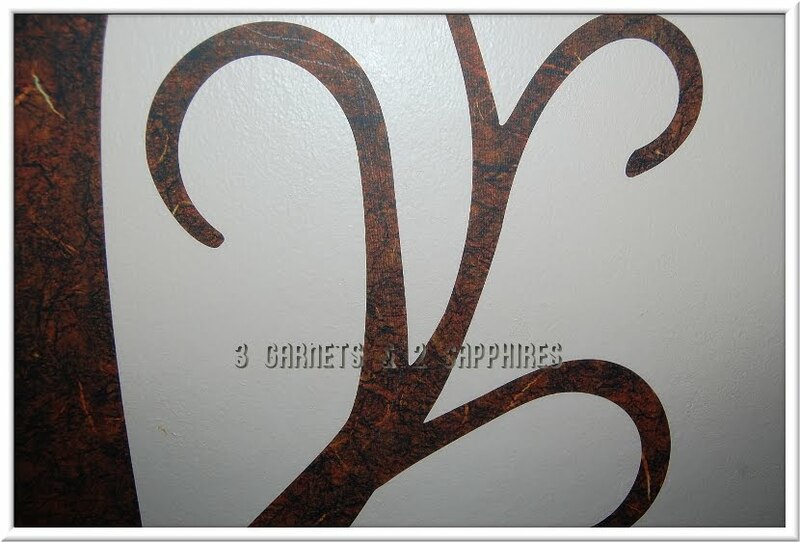 You can view all products available from My Wonderful Walls by visiting MyWonderfulWalls.com, My Wall Stencils, and My Wall Stickers on Etsy. 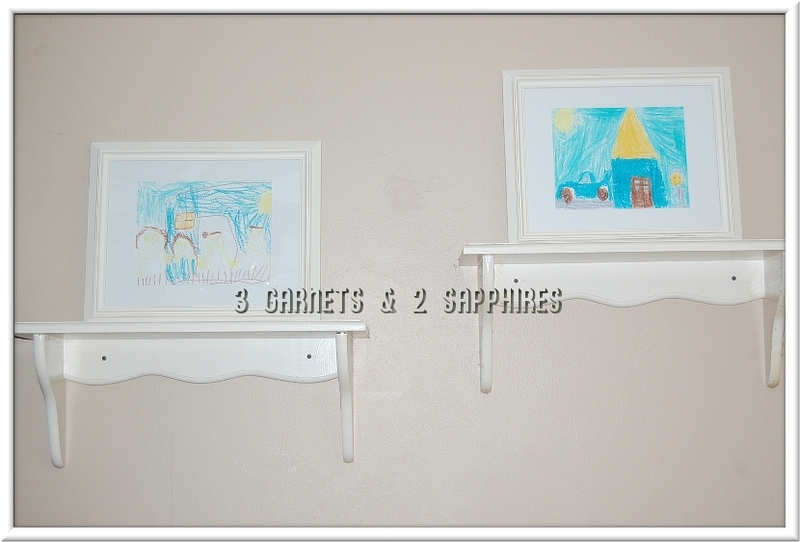 Through August 31st, 2011, save 15% off your entire purchase when you checkout using Code: 3G2S on MyWonderfulWalls.com. Thank you to My Wonderful Walls for providing a complimentary product sample for us to base this review upon and for providing a gift code for our contest prize. One lucky reader will receive a $75 gift code to shop from My Wonderful Walls. This giveaway is open to U.S. & Canadian entries only. You do not need to be a blogger to enter, but you must have a valid email address and be age 18 years or older. If you enter anonymously and do not include a valid email address in your comment entries, I will not be able to notify you should you win this random drawing. Browse the selection of wall decor offered by My Wonderful Walls. Then leave a comment telling me the name of one product you might like to use your gift code towards if you won this contest. You MUST do this to be eligible to win this contest. 3) For 1 extra entry, subscribe to the My Wonderful Walls YouTube Channel. Then come back here and leave a separate comment with your YouTube username. 4) For 1 extra entry, "Like" the 3 Garnets & 2 Sapphires Facebook page, then leave a separate comment here with the link to your Facebook profile. 5) For 1 extra entry each, follow My Wonderful Walls on Twitter and/or "Like" My Wonderful Walls on Facebook. Then leave a separate comment for each with the link to your Twitter or Facebook profile. This contest will be closed on Monday, August 29th, 2011 at 11:59pm EST. A random number drawing will be held shortly after. The winner will be announced here and will be contact via email or through their blog. If the winner does not respond within 48 hours, a new number will be drawn.